Are Winter Tires a Good Investment? 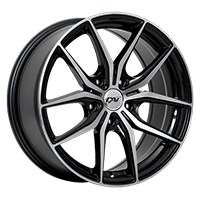 At PMCtire, we know that tires are a crucial part of your vehicle, especially on ice or snow-covered roads. While winter tires can be an important expense, they really make a difference when it comes to traction and general safety during the cold season. Having winter tires has many advantages, but the one you'll love the most is that they'll actually make you save money! Here is how! 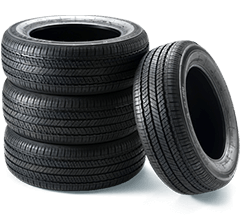 When you replace all four of your summer tires with winter tires, you become more in control of your vehicle. Only two winter tires can cause unbalanced traction and lead to a busted tire. By replacing all four tires, you make sure to avoid such a situation and you can inspect your car less frequently, thus saving on maintenance. Winter tires make driving in wet and poor weather conditions a lot safer and provide more traction in snow and on ice. All-weather tires do not offer the same grip and increase the risk of collision and road accidents. As you may know, the cost of an accident can be pretty high, as you may need a few repairs on your vehicle. It may be more expensive to buy winter tires, but in the long-run, it'll make you save money. Using all-season tires on icy or snowy roads would lead to premature wear, and you would have to change your only set of tire more frequently. Having a second set of tires minimize the wear of both sets.